From pets to farm animals to exotic pets and zoos, we have the feed and nutrients your animals and pets need. 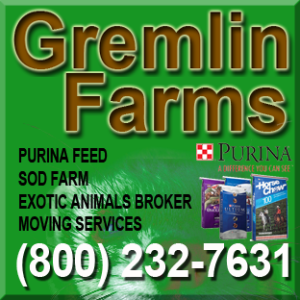 Welcome to Gremlin Farms Sod Farms! We grow some of the midwests finest Sod with professional landscaping contractors and homeowners alike requesting our sod for the last 20+ years. It's no wonder we are a leader in the industry. Our sod is extremely resistant to disease and insects. We offer the following services for our sod in all of North Central and North Western Illinois. Service - We stand behind our product!